Chania is maybe the most beautiful prefecture in Crete. Stunning beaches, such as Elafonissi, Falassarna and Balos Lagoon, the Venetian port of Chania town and the White Mountains constitute a perfect scenery, ideal for all demanding travellers. This is why we recommend you to rent a car in Chania and explore this amazing region. If you did that, you may want now to go off-the-beaten-path and explore a hidden gem, an unspoiled heaven a breath away from Chania. 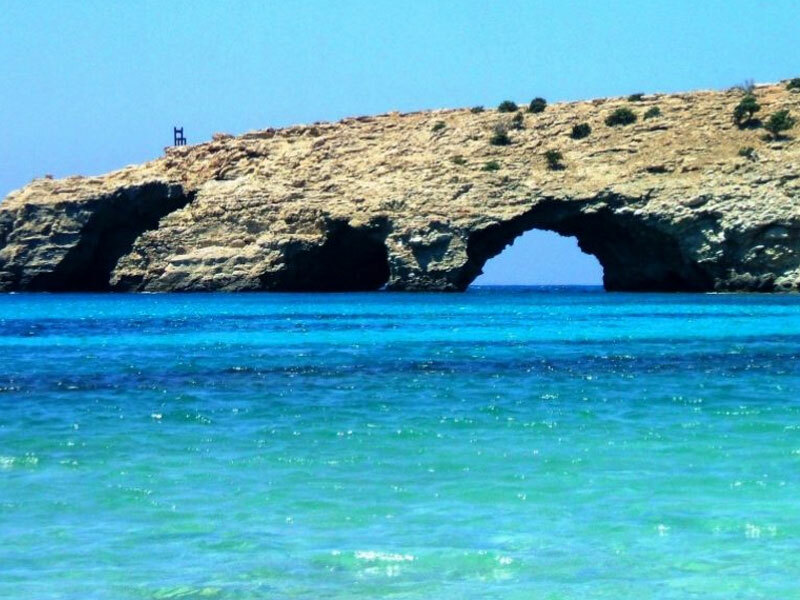 On the southern side of the prefecture, is located Gavdos, a tiny islet, which is the southernmost point of Europe, in the Libyan Sea. Let’s discover it! Gavdos is an exotic paradise, an islet that looks like belonging to Africa, standing between two worlds. If you want to experience the ultimate freedom and total relaxation away from the crowds, then Gavdos is your place. Forget everything, forget modern civilisation and get lost on this island, which has as a trademark some goats and a chair on the top of a cliff, overlooking the Libyan Sea. 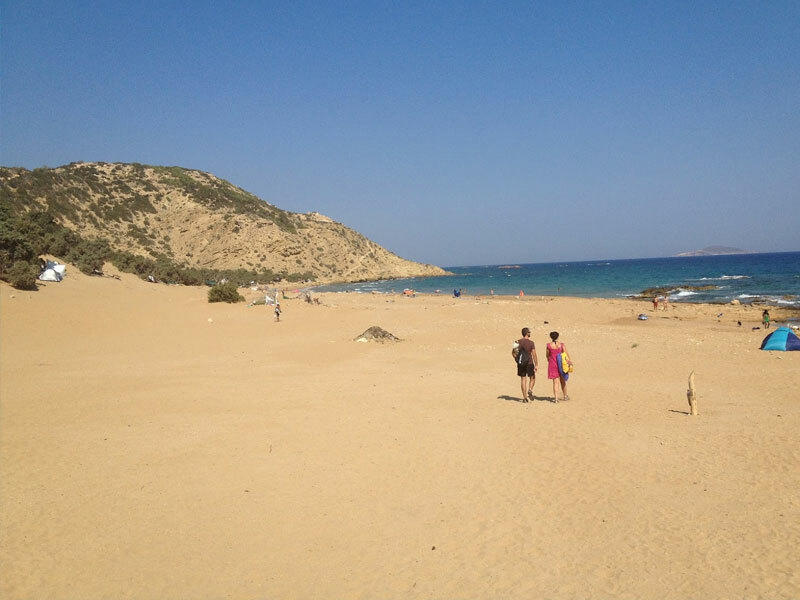 The main beach of Gavdos is the beach of Ai Giannis (at Greek Saint John), a breathtaking beach with cedar trees, dunes and thick, golden sand. On this bay, rackets, noise, sunbeds and other touristic facilities are forbidden. You will see many young people, with their guitar singing, laughing and having fun all day long. The beach is also nudism-friendly beach in order to feel free to experience the ultimate connection with nature and play like a child with the huge waves. In Gavdos, you can find some accommodation options, such as rooms to let, but the island is a popular spot for free-campers from all over Greece and Europe. There are people that come in Gavdos in May and stay until October. Staying on the beach is free, and you can go to the nearby tavern to eat fresh fish, take a shower and have long conversations with the local people. To go to Gavdos, you should drive to Chora Sfakion in the prefecture of Chania and take the boat. In less than half an hour, you will be on this untouched heaven on earth, enjoying an experience you have never lived before!